Trail cameras come in many different sizes, with a plethora of functions and features attached. The best trail camera will prove itself invaluable in helping you create an effective hunting strategy. The following article should be treated as a guide in helping you find the best trail camera for you. What is a Trail Camera and What is it used for? A trail camera is used to help analyze different areas for wildlife that are native to the area. This information is then used by many hunters to help improve their hunting. 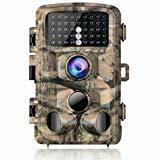 The trail camera works by taking high-quality photographs or videos using a highly sensitive trigger that will switch when any motion is detected. 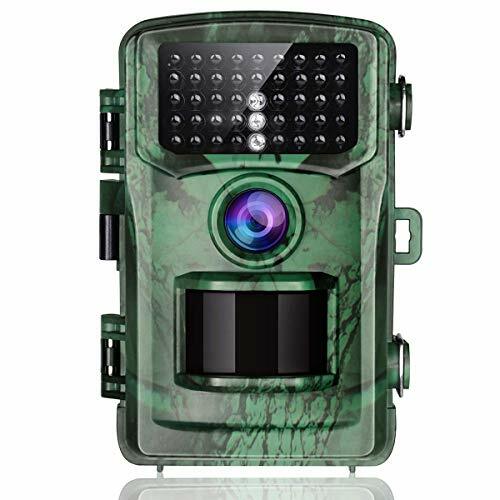 You will find multiple types of trail cameras that offer you a variety of benefits, which also come with multiple negative aspects also. There are multiple aspects you’ll need to take into consideration when purchasing a trail camera. 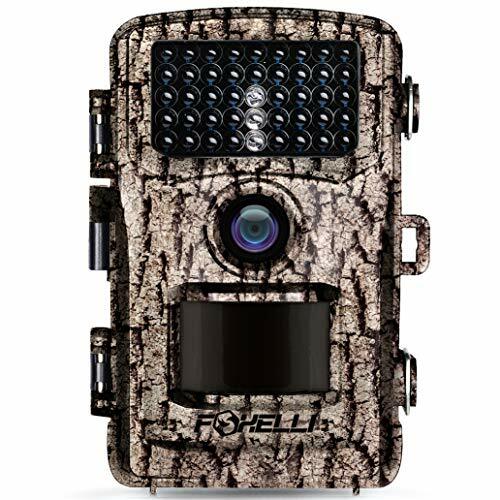 You should keep in mind the different types of trail cameras from cellular network cameras to solar powered trail cameras. The following section will give you important information on what to look for when purchasing a camera. You have a few options when it comes to power. In many trail cameras, they’ll include a solar power plate that will keep the camera operating for months at a time without changing batteries. The only downside is that it relies solely on sunny conditions. Other options include the standard AA batteries that are reliable and standard across most trail cameras The only downside to this power source is that you’ll need to swap them every time they run out. You could also use rechargeable batteries that could save you a lot of money over the years, though they will still have to be swapped out when they run out of a charge. The main feature of a trail camera must function as it should. It needs to provide crystal clear image quality. The image is the central feature of the camera, and if it doesn’t provide decent quality, it isn’t a camera you need. The average trail camera will be around 7-megapixels. However, exceptional cameras will provide quality higher than 10-megapixels. You’ll also find some budget-friendly options around the 2-megapixel range. The trigger time is the period between detecting any motion and taking the video or image. You want your trigger time to be as fast as possible. Some triggers can be as fast as 0.2 seconds and as slow as 0.7 seconds. The recovery time is the period between taking the photo or video and being ready to take the next photo/video. This is the most critical part of the article. The main review will guide you from product to product revealing the ones we think are worthy enough to be considered as some of the best on the market. Starting off the list, this trail camera is without a doubt the best currently on offer. The lens can capture 12-megapixel quality images and 1080p HD video up to 45 ft away with a 120-degree angle view. The camera also has multiple features, including night vision and an infrared flash. The product is safe from any erosion or damage caused by weather with thanks to the IP65 waterproofing. The product provides you with an impressive trigger time of only 0.4 seconds, meaning that you’ll effortlessly capture the fastest of game. The camera is versatile as it includes a timer, photo stamp, real-time replay, password protection, and a shot lag. It is truly a multi-purpose product. If you don’t feel like it's for you, you can get your money back for up to 45 days after purchase. You also have a 12-month warranty if anything breaks. This product really is the best currently on the market. With the quality that's provided, you’ll be more than happy with qualities like the crystal clear images of the 12-megapixel lens and 1080p HD video capabilities. The 120-degree angle view ensures you don’t need multiple cameras set in the same spot as you’ll be given a vast field of view with this device. You’ll not need to worry about the weather either, as this product is protected with IP65 waterproof material. In addition to all that, the fast trigger time can ensure you snap photos of the fastest game. The only improvement that could be made is that the detection range is only 45 ft, far less than other cameras at 100 ft. The next on our list was a close contender to steal the best overall spot but missed out by a hair length. The trigger speed of this camera is only 0.2 seconds which is impressive for any camera Not only that, the device can work up to 150 ft. It provides you with short video clips of any motion at 720p quality. The photos aren’t far behind at 5-megapixels which should be the bare minimum. This product can provide you with up to two years of continuous use on just 12 AA batteries, backed by a five-year warranty. 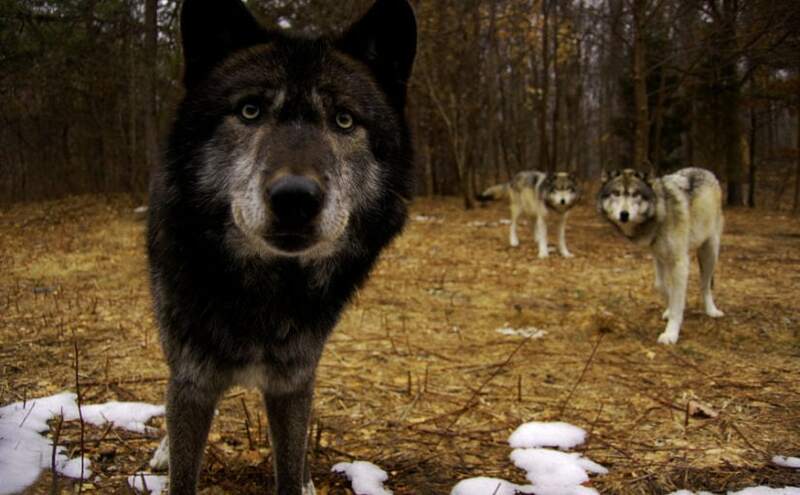 This trail camera offers incredible detail, the best we’ve encountered as of yet. The camera captures images up to 16MP and videos of 1080HD quality. The SD slot will be able to handle cards up to 32GB, providing night vision capabilities of up to 65 ft. Operating in freezing temperatures and some of the most plastic melting heat, this device can survive in most situations. The battery life of this product is up to six months on eight AA batteries. The theft-proof functions like the password and serial code keep your camera safe from even the sneakiest of thieves. The device can be triggered within 0.6 seconds of any motion passing their field of view. 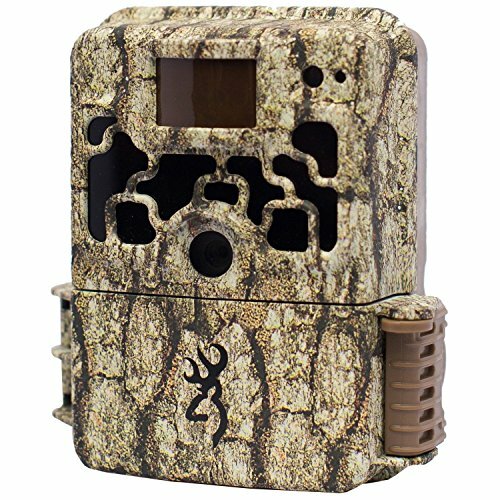 This trail camera provides with the best quality images and video on this list as of yet. The 16MP pictures will make sure you know exactly what you’re looking at. You’ll even see the ticks on their back at this image quality. The SD slot is capable of up to 32GB of data which should last you a while. This product provides a lot of protection, such as being theft-proof, thanks to the password function and serial code system that lets you know where you’ve left it. It can also withstand extreme cold and heat. The downsides to this camera are the lack of high-quality fundamental features on the camera. The detection range of 65 ft isn’t good enough with cameras out there going as far as 150 ft, the trigger rate of 0.6 seconds isn’t the best with many cameras boasting twice that speed. The same goes for the battery life of six months, some cameras out there can survive up to two years with one set of 12 AA batteries. 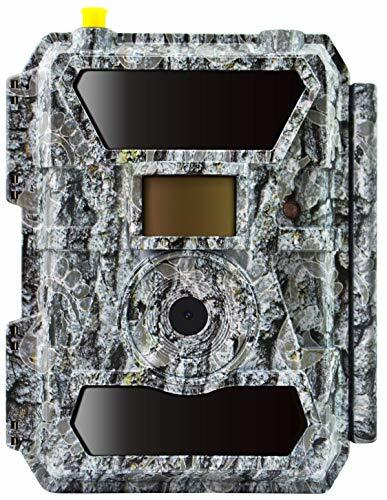 This product is by far one of the best value trail cameras on the market, providing you with more than crystal-clear quality 14-megapixel images and 1080 HD videos. Lasting up to eight months working in standby mode, the trail camera can snap any motion with 0.5 seconds, a lightning fast speed. You’ll experience a great view using this 120-degree lens with an effective range of 75 ft using 42 low-glow LEDs. The IP56 waterproofing will protect against rain and dust, ensuring your trail camera is as safe as possible. Not only that, it can protect against any accidental drops with the help of a sturdy case. This camera is one of the best quality cameras you’ll get for under $100. The IP65 protection will protect against both dust and rain. The protective casing will ensure the camera is not damaged if dropped or if any animals find it. Providing some of the highest quality images and video possible, you’ll be happy to know the camera also has a superfast trigger time. The only problem is that throughout the eight-month battery life, you’ll need to regularly check up on it to see what game is walking by. The product isn’t wireless and won’t come with an SD card, so you’ll need to purchase that also. It’s obvious to see why this product has been voted the best trail camera for the money. Providing you with extremely high-quality, 14-megapixel camera quality and 1080 HD videos, and an exceptionally fast trigger time of only 0.3 seconds. This camera works up to 65 ft with 42 Infrared LED sensors which means you’ll have no bright flashes to scare away possible targets. This camera is also equipped with a wide-angle lens of 120-degrees, giving you a tremendous broad scope. This product is the best trail camera for money currently on the market. With an incredible picture quality of 14MP and crystal clear video capability of 1080HD, you’ll never be disappointed using this camera. The trigger time makes it sound even better at super speed trigger time of only 0.3 seconds. The wide-angle lens makes it even easier to spot animals coming from different angles or trails. The only downside to this product is that the 65 ft detection range could be improved with models out there reaching 150 ft. This flash-free product will ensure no animals are scared away, which can ultimately hinder your hunt. Along with it being flash-free, the product also comes with a helpful app that allows you to control all the settings. The night flash function will be able to produce clear images for up to 65 ft with thanks to the 56 different Infrared LEDs. This crystal-clear image is also aided by the 12MP camera and 720P video quality. This product also operates on a 3G multi-network that doesn’t require a contract, you just pay a one-off fee and you’ll get access for 12 months. This product is the best wireless model on the market at the moment. Flash-free photography means you won’t scare away any animals. The quality of the images is also fantastic with 12MP images and HD video provided. The cellular network provides 3G that is almost instant upload to your device. The product is also contract-free, meaning you just need to pay a one-off fee for a full year’s access. The only downside is the detection of the range could be improved. The effectiveness of the device also depends on the environment. With every pull of the trigger, this trail camera will take up to nine pictures. The quality of 12MP is exceptional especially with a trigger speed of around 0.6 seconds which is decent for any trail camera. The 1080p video also records video and audio for around 90 seconds. The best feature for this product is the non-glow function with special thanks to the 36 Infrared LEDs attached that will provide an effective range of up to 75 ft. Along with great quality, the camera has a good level of protection. The IP66 high-waterproof protection provides you with double the peace of mind from rain, fog, dust, and hot weather. Along with a password, this camera is well-looked after. It comes with a few extra features including timelapse and hybrid which is a mix between video and camera. Producing high-quality video and images of the best standard isn’t an easy job. This product pulls it off with a 12MP camera and a 1080P HD video quality. The video can last for up to 90 seconds and the images have a trigger speed of 0.6 seconds that can operate for up to 75 ft. The 36 LEDs will ensure that there’s no flash or glow to scare away any animals. The high-level protection is more than suitable for any trail camera, protecting against dust, rain, and accidental bumps. The only improvements that could be made include the range length.Though 75 ft is better than many other trail cameras, it’s just not good enough. The other improvement that should be made is the length of the videos being recorded. This camera offers a range of benefits. The HD video function will provide you with a video length that can range from five seconds to two minutes. The camera itself can also take motion-triggered photos with a 10MP quality at an astonishing range of 100 ft. If you are operating the camera throughout the night, you can make use of the infrared flash that can detect and snap a photo of anything moving within 0.67 seconds. Operating on six AA batteries, the camera has different features including the time-lapse option that you can use for capturing slower moving animals like snakes. This camera provides you with all the bare minimum requirements. This is exactly what you need, but that is it. 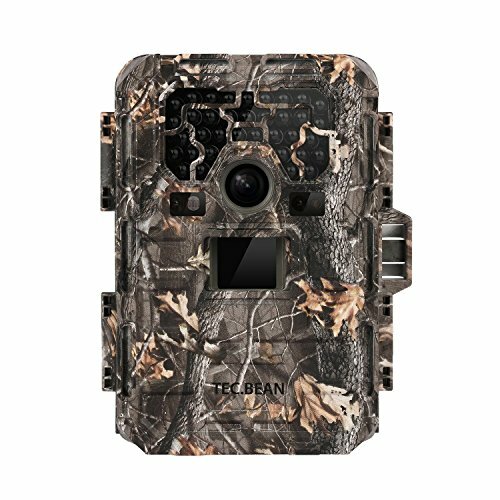 The trail camera can provide you with great HD footage of anything running around near your camera, up to 100 ft near your camera, in fact. This great range also comes with a decent trigger reaction of 0.67 seconds. However, this could be improved as it’s slower than other trail cameras out there. The time-lapse feature is also an added bonus that a lot of people enjoy when searching for snakes, as it makes them more noticeable. The only downside is that it is a basic camera with limited features. The flash is a big turn off for many people as this could scare away any opportunities for more photos or video. Browning is an American hunting company that provides you with an extensive range of trail cameras. 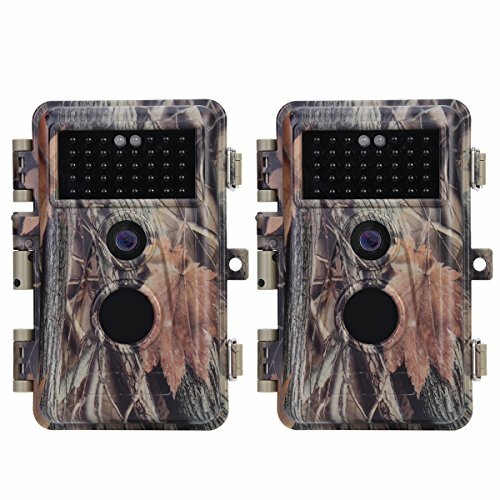 They offer a decent quality trail camera for those who enjoy their hunting and are looking to branch out in using different techniques. One of their most acclaimed models currently on the market is the Defender 940, which offers plenty of functions including the eight rapid-fire images function. Moultrie specializes in both animal feeders and trail cameras. They’re best known for their high-quality images and standard trail cameras. They have a few models that are wireless. Their most renowned camera is the Moultrie A-40i Pro which gives you with 14-megapixel camera quality. This small, yet high-quality, line of trail cameras includes some of the best on the market. The SpyPoint brand is a reliable, well-known manufacturer of hunting trail cameras. They offer units that are both solar-powered and cellular, meaning they don’t need to be charged and can send images and video to your device via WiFi or a cellular network. The best of their line includes the SkyPoint Link-S which is a solar-powered, cellular trail camera. Tasco trail cameras can easily be found in Walmart and are a great budget-friendly option for anyone wanting a basic trail camera to test out. They aren’t the most advanced products on the market, though. This brand is most known for its great video and camera quality. Tasco is a world leader in creating rifle scopes and telescopes. You’ll want to start off by making sure you’ve got everything you need. You should have your camera, some sort of security box, a cable lock, pair of pliers, and a scent cover. You’ll want to find a tree that has a good view of one or more animal trails. Once you’ve found your tree, turn your camera on, place it on the tree at waist height and strap it on securely. Once strapped on, attach your security box, this will sometimes come as part of the kit. Put the cable lock through your camera and around the tree and lock it tight. If you want a proper demonstration, please take a look at the Youtube video below. You’ll want to hide your camera for maximum effectiveness. You can use different methods to ensure no one just comes along and steals your expensive camera. One way is you can place it high on a tree and have it pointing downwards onto the animal trail. You can use some metal steps placed against the tree to get yourself up and down. However, once you’ve placed your camera on the tree, you should take them and hide them somewhere out of sight. If you want more detailed help, please have a look at the Youtube video below. It’s important that you take care of your trail camera. This expensive piece of equipment is an important part of any modern-day hunter’s arsenal. The following tips are on how to maintain your camera will result in years of great reliable usage. Checking your camera every week helps you keep an eye on the exterior of your camera and allow you to determine if you need to clean your camera or not. This should be no more than once per week. You don’t want to give off too much of your scent so don’t stay for too long, you should also only check in the afternoon, as most animals are active in the early morning or evening time. During your weekly checkup, you’ll want to ensure your battery is still on track. If you have an LED screen, you’ll be able to check the battery without even touching the device. Sometimes batteries won’t work as long as they say they can, so checking this will help you determine if they can last a few more weeks or if it needs to be charged. If you notice that your lens has some sort of smudge, you will need to clean it. This could be due to the rain, dust, or a branch falling in front of it. You should check your camera as soon as you notice something like that so you can make sure you don’t miss any great opportunities to take a photo of the game in the area. There are multiple types of trail cameras which come with a whole host of different benefits and features. The following section will discuss these types. 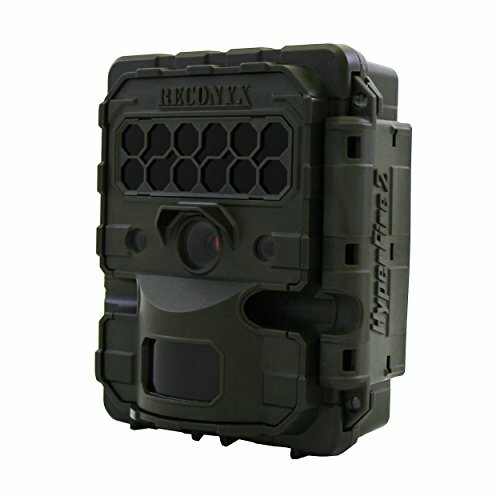 Cellular trail cameras are those that use a network to operate. This is when you use a SIM card that operates on a network which you’ll have to pay for. This form of wireless trail camera will send any photos or videos it takes straight to your phone. The only downside is that they rely on a good signal, so the environment can impact performance. A WiFi trail camera relies on a WiFi signal. Using this method might be cheaper than paying a monthly network subscription. This product will still send videos and images to your phone or device. The downside with these products is that you’ll need to be in the range of a WiFi connection for the camera to send you these snapshots. Solar-powered trail cameras are great to rely on. They’ll harness the energy of the sun to keep themselves alive for months at a time. They don’t require the same maintenance as standard batteries, which can save you money. However, they can be affected by weather changes, and if you don’t get a lot of sun where you live, these devices could be rendered useless. The standard battery-powered trail camera is more reliable but requires more maintenance than a solar-powered version. However, the battery won’t be affected by any weather changes unless it's not waterproof. Any leaks could damage the battery, resulting in them becoming useless. Most are waterproof so you won’t need to worry much about that. The only thing is that your batteries might need to be changed or charged more regularly than a solar-powered trail camera. Like many things in life, research is key. Conducting research on the things you are planning on buying should be second nature to most people. However, this can be harder than you might expect, as some products come with a lot of features and jargon attached. We hope that this review has helped guide you in purchasing the best quality trail camera for your specific usage. This section will answer some of the most common questions asked by hunters looking to buy their first or newest trail camera. Should I Go For Flash or Infrared? You should buy the infrared trail camera. If you’re using a flash camera, there’s the chance you’ll scare away any possible targets before you can capture a decent shot. However, the infrared feature will detect any movement and trigger the camera without scaring away any of the game. Detection Circuit: How Far Do Trail Cameras Work? Trail cameras can detect game up to 100 ft away during the day, though this depends on the type of camera, of course. However, during the night, if you have a decent number of quality LEDs, you can see up to 60 ft using night vision. What is the Difference Between a Trail Camera and a Game Camera? There is no difference other than the name. These are the exact same thing, both capture photos or videos of animals (game) walking along animal (game) trails. They can detect game up to 100 ft away. What Type of Batteries Should I Use in my Camera? Trail cameras usually take 12 standard AA batteries. You could also use recharge batteries and just swap them whenever they run out. Like we mentioned, you can also buy a solar-powered camera that doesn’t require as much maintenance as standard batteries. However, they do rely on good, bright weather to stay powered, so bad weather can really affect this device. What Size SD Card Do I Need? Standard SD cards can be bought with a range of different capacities from 128MB to 2GB. However, high capacity cards can store video and images from 4GB to 32GB. This is the most common data card used with trail cameras. Other cards include SD extra capacity, which can be bought from 64GB to 2TB. You should remember that extra capacity cards will not work in standard card slots. How Many Trail Cameras Should You Get? Depending on what you’ll be hunting, we will assume you’ll want one camera for every 100 acres of land you’re covering. Most bucks span across land up to 600 acres. This will maximize the possibility of finding your next target. As a general rule, more megapixels lead to higher resolution photos. However, don’t let megapixels be the determining factor when purchasing a trail camera. Unless you plan to use the photos on a highway billboard, there isn’t much noticeable difference between a three or four megapixel camera and one with eight or more megapixels. Battery life is a big factor. If you place your camera in an area with a lot of activity it won’t take long to rack up thousands of pictures. Some cameras will only take three or four thousand pictures on a set of batteries while others will take tens of thousands. Another thing to consider is the size of batteries used. A camera that uses 4 D batteries to take three thousand pictures will cost a lot more to operate than a camera that uses 4 AA batteries to take twenty thousand pictures. This one is probably the most important for many trail camera enthusiasts. Some cameras take photos only when triggered by motion and will only take one photo every second or two. If a deer or other critter walks through the frame and isn’t positioned well, the photo may be worthless. Other cameras are capable of taking several photos per second. This can lead to an abundance of photos but there is a good chance you will get at least one good shot of the subject. Deer hunters really like cameras like this because they get multiple angles of a deer’s antlers. Other settings to consider are auto time lapse modes. These cameras can be set to shoot a series of photos at a given time whether the camera is triggered or not. This can come in handy if you have your camera set up on a large food plot or field. The camera will take photos of what is in the field, even if the animals are in the distance. I love this mode for scouting turkeys. You can get a good look at the exact point turkeys enter and exit fields. If you were relying only on photos taken when the camera is triggered, you may get photos of turkeys but you’ll miss out on some of the key information that can help you hunt them. Many buyers don’t think about trigger speed when buying a trail camera and then become frustrated when they see their photos. Trigger speed is the time between when the animal first walks into frame until the camera takes a photo. Some cameras can take a second or two to trigger. If the camera is on a bait station or food plot, slow trigger speed may not be much of a factor. But if the camera is on a game trail, you may end up with a lot of photos of deer butts, which is less exciting than deer heads. Getting a daytime photo of a big buck is a thrill. These photos signal a big deer using the area during legal hunting hours. However, the majority of buck photos are taken at night. Using a traditional flash to take nighttime photos would run deer off in a hurry. Imagine if every time you opened the refrigerator someone took a picture of you. You would find somewhere else to get food in a hurry. The same thing happens with deer. Infrared allows cameras to take nighttime photos with less intrusion. Keep in mind not all infrared is the same. Some emit an beam of infrared light while others filter the light. Filtered infrared can be completely invisible. Cameras with this technology are often called “covert”. Semi-covert cameras have some filtering but are not completely invisible. If you can’t wait until you get home to see your photos, a camera with an LCD screen may be right for you. Instant viewing is fun but I find this feature to be highly overrated. Standing in front of the camera to look at hundreds of photos is a good way to spread your scent all over the area. I prefer to get in and out as quickly as possible. If you can’t wait to see your photos, bring along your personal digital camera and pop in the SD card as soon as you get back to the truck. Trail cameras are becoming increasingly advanced. One of the latest features is video. In fact, many cameras shoot HD quality video. This can be fun to watch but is priced into the camera and may not have much scouting value to you. Speaking of advanced features, some cameras allow you to access photos from a remote location via cellular phone technology. These cameras literally send photos to your email inbox without you having to leave your house. This feature allows you to access the photos without spooking game while walking in to the woods to swap out SD cards. Remote access is great for hunters who are particularly conscious of their scent and people who hunt on property hundreds of miles away. It does have a few drawbacks. The main one is cost. These cameras cost more at the checkout and there is a monthly fee to activate the remote feature. Another thing to consider is cellular reception. If your phone doesn’t work there, the chances of the remote feature working is slim. New technology is constantly upgrading trail cameras. The features found in a $100 camera today would have cost hundreds more a few years ago. Take a good look at several cameras and decide what is important to you before buying. After five weeks of waiting, it was finally time to check the camera. The door was flipped open and the little tell-tale button was pushed. The display answered with a disappointing “63”. Five weeks in the woods and only 63 pictures? This was my first trail camera experience. It’s a common problem among the camera crowd. We either end up with a small amount of photos or a bunch of photos of nothing. Over the past few years, my trail camera success has increased significantly. Here are five great tips for getting more high quality photos on your trail camera. Small branches and brush can trigger your camera when the wind picks up. I’ve seen thousands of photos of nothing triggered by branches and brush. There is no way to eliminate this problem if you’re using a camera in the woods. But by trimming back obvious branches around a camera, the likelihood of false triggers diminishes greatly. Glare from the sun has ruined many trail camera photos. When cameras are pointed to the north they are never facing directly into the sun. This will help you avoid overexposed photos. Some people just can’t help themselves. They have to check their cameras every week. It’s like a kid sneaking a peek under the Christmas tree. The problem is every time you walk into the woods you’re causing a disturbance. Human scent is released and there is a good chance deer are getting bumped. You’re essentially training deer to avoid the area. Sure, everyone has a story of a big buck walking by the camera 20 minutes after they walk away. But deer sightings increase significantly the longer the camera sits in the woods. Four or five weeks is great. If you have the patience to wait longer, even better. If using mineral is legal in your area, it may be the best way to attract deer to your camera during the summer and early fall. Bucks crave mineral during this time as they are growing antlers. Does are tending to fawns and need supplemental nutrition as well. A mineral site also stops deer in front of your camera. This provides more opportunities for high quality photos. Other hunters use feed like corn to achieve the same results. Always check regulations before using mineral or feed. States are constantly changing regulations on when and if it is OK to use mineral and feed. If mineral and feed is illegal in your state, water can be just as productive. This is especially true in dry climates. Put your camera on a water hole or create one yourself to attract deer. Digging a kiddie pool into the ground is a superb way to make a waterhole. Be sure to leave a branch in your pool. This provides an escape route for field mice and other small animals that may fall into your waterhole. A trail camera can be one of the most important pieces in your hunting tool box. They watch what is happening on your property when you’re not there. Placing your camera in the right spot is going to be a big factor in realizing the full potential of the camera. But it’s not as simple as finding a good spot and leaving your camera there all year. Moving a trail camera to stay on top of deer activity will get you more photos and hopefully a more successful deer season. As soon as last year’s antlers drop bucks begin craving mineral to rebuild. Does are also looking to replenish lost nutrients from taking care of fawns. Mineral sites are like magnets to deer from April through August and even beyond. But you can’t just go out and throw a salt block in the woods. Granulated mineral made specifically for deer produce better results. Find a well used summer deer trail and clear a place on the ground or use a stump. I prefer a stump because it keeps most of the mineral off the ground. However, many hunters just dump mineral on the ground and the deer don’t mind. In fact, I’ve seen deer basically eat a hole in the forest floor to get mineral absorbed in the earth. When hanging your camera over a mineral site, hang it high and point the camera downward at an angle. 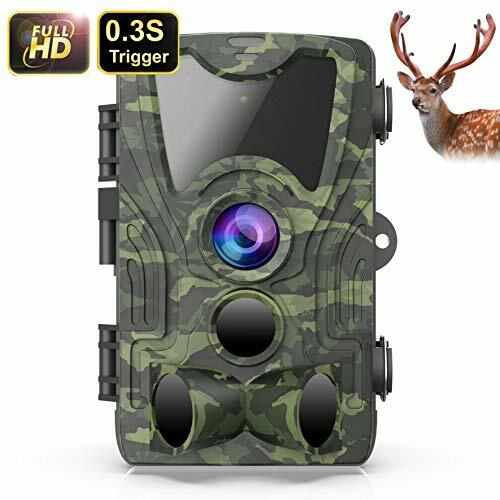 This will allow you to capture photos when deer are looking up or down. The onset of September splits up bachelor groups and bucks begin to display dominance. Rubs begin appearing in the woods and scrapes become active. 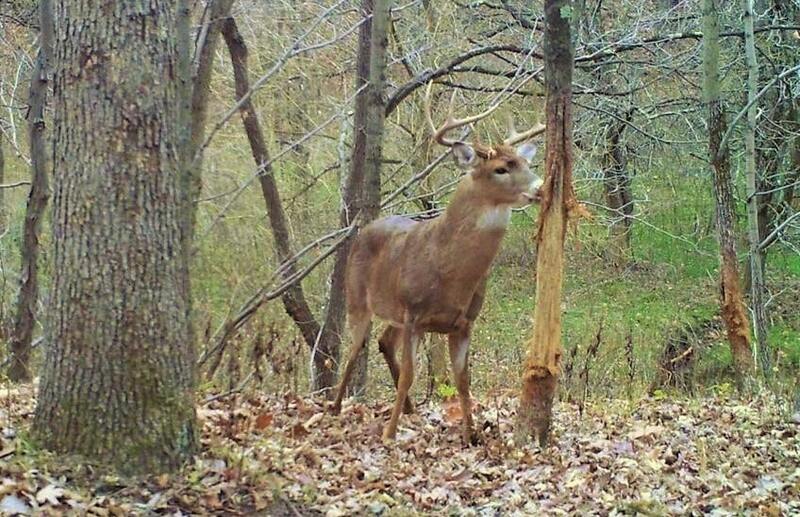 Scrapes are a great location for early season trail camera photos. Find a good one or make your own mock scrape. Not all scrapes are the same so if you’re not getting results, move your camera to a different scrape or make some more. Bucks are on the move and the rut is the best time to get daytime photos. Since bucks are on their feet, posting your cameras in high traffic areas will yield the best results. Funnels and rub lines are the best spots for rut time trail camera photos. If your camera has a slower trigger speed, point the camera directly down the trail or at a 45 degree angle. This will prevent those frustrating photos of nothing caused by deer moving through the frame too quickly. Once breeding has come to an end, bucks stop focusing on does and start keying on food sources. Not every field is going to be productive. Spend some time scouting for the most active field and place your camera there. If doe activity is present, bucks will soon follow. They’re not looking for love but bucks will use does essentially as scouts to find high quality food sources. Set your camera on time lapse mode to capture activity that doesn’t occur right in front of the camera. As temperatures drop, it is also important to keep fresh batteries in the camera. Cold weather drains batteries fast. While hunter participation is dropping in nearly all game pursuits, deer hunting is growing. There are many reasons including a booming population, antler size records falling like rain, and a barrage of new equipment that makes hunting easier and more enjoyable. One of these tools is the trail camera. Trail cameras allow hunters to see what deer are using their property and when. While trail cameras certainly help create an inventory of the deer on a property, placing them haphazardly will not produce the desired results. Here are five tips for trail camera success. Infrared cameras allow you to take night photos without a flash. Some deer experts believe the flash on some cameras will spook deer. There is a strong case in favor of that argument and many hunters without infrared turn the flash off or set a timer to avoid night time photos. Yes, this limits your ability to see deer but it prevents scaring deer off your property. If it’s possible, face the camera lens to the north. This will keep glare out of your pictures at any time of day. If that’s not possible, try to face the camera in the best direction to avoid glare. For example, if most deer sightings in a particular area occur in the morning, face the camera to the west. If your sole intent is to inventory bucks, setting your cameras on feeders isn’t a bad idea. However, if you really want to get a good sense of all the deer on your property, feeders are a poor location for trail cameras. You will get a lot of pictures of other animals & you won’t get a true representation of the buck to doe ratio on a given property. Bucks generally run off does around feeders shortly after dark. A better strategy is to set cameras on travel routes to and from feeders. These are the best places for trail cameras. You will get a good idea of what areas bucks are using and when they are using them. I like to rotate cameras to different locations every few weeks in an attempt to pattern deer. You will find that deer often use the same routes to get to and from feeding and bedding areas. It’s challenging and exciting to really get to know specific deer this way. Then there are the strangers. These deer only show up on cameras once or maybe twice during the year. They could be visiting from another property or just smart enough to normally take the trail less traveled. The only thing worse than finding no pictures on your trail camera is finding a bunch of pictures of nothing. The most common cause of this is braches and brush blowing in the wind and triggering the camera. Use and hand saw to clear away any branches directly in front of the camera or better yet, set the camera up in a clearing if possible. Setting up trail cameras serves two purposes for me. First, they inventory deer on my hunting property. Second, and perhaps more importantly, trail cameras extend my hunting season by creating a challenge to “hunt” deer with the cameras during summer months.